Repowering London is working with Lambeth Council to develop and manage a new community-owned solar energy project to install on schools and community buildings in the borough. This pioneering community energy programme will lower the carbon footprint of the borough by 120 tonnes of CO2 while improving the financial resilience of its schools and community and providing the borough with locally produced solar electricity. We are currently working with The Elmgreen and Norwood Schools to develop these community-owned solar projects. If your school is interested in joining our project, please contact us for more information at info@repowering.org.uk or call us 0203 674 7519. 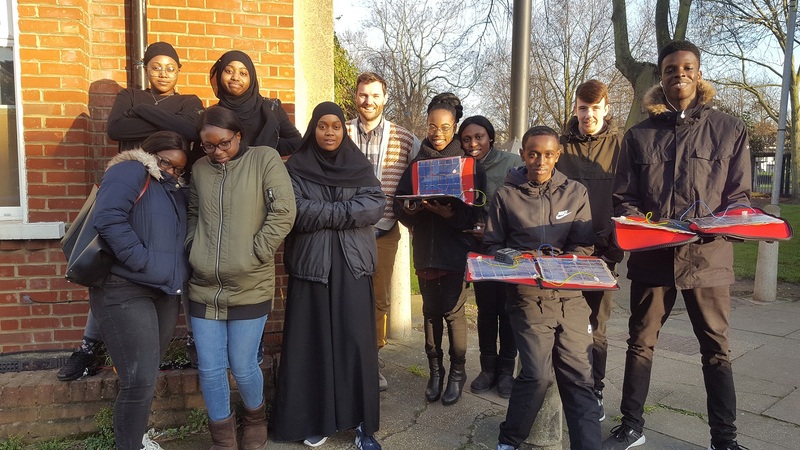 Lambeth Community Solar is a new Community Benefit Society set up to allow people to invest in renewable energy generation in Lambeth schools and community buildings while sharing the profits between investors and the local community. The project will be funded through the community share offer where the shareholders will make up the membership of the Society and have a say in how the project is run. Shareholders will receive interest payments on their investment, at approximately 3% per year. By purchasing shares in Repowering Lambeth Schools, your money will be immediately invested locally, supporting the installation of this solar project in Lambeth. The project will be funded through the community share offer and the financial benefits from the sale of electricity with the help of Feed-in-Tariffs will partly be redistributed into the community using a Community Energy Fund. The solar panels will not be owned by the Schools but they will benefit by receive discounted locally produced renewable electricity while the community profits from a wide range of benefits. Reduced electricity bills for the school and community buildings when the panels are generating through the sale of solar energy at a discount. Surplus income will be ring fenced for the benefit of the school and surrounding community. Repowering will run appropriate educational activities and workshops for students that fit within the school curriculum and relate to energy literacy. The project offers an ethical investment opportunity for parents, teachers, and the local community who can benefit from a 3-4% return on investment. The project will help the school reduce its carbon emissions over the lifetime of the project. For more information on how you can get involved, or if you are interested in suggesting your school to join this project, please write to us at info@repowering.org.uk or call us on 0203 674 7519. If you want to support the project, let us know and we will keep you updated and let you know when you can invest.